Philly native Questlove has introduced a new cheesesteak that will be available at Citizen's Bank Park this season as well as 40 Live Nation venues across the country including The Met Philadelphia and BB&T Pavilion. The Roots drummer has launched Questlove's Cheesesteaks with Impossible Foods and uses plant-based meat in the recipe. 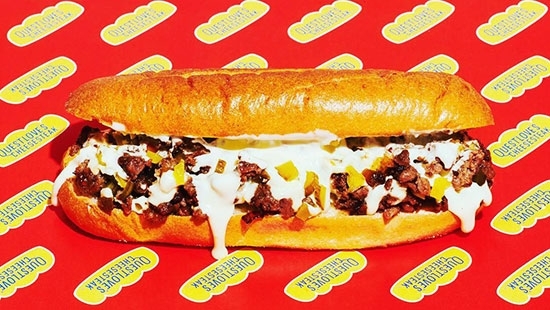 Questlove made the announcement on Instagram, "As a non vegan/vegetarian I still fell in love with @impossiblefoods for several years and as a Philadelphian... well -- i gotta know #CheeseSteaks right? We developed (and perfected!) a recipe using Impossible(tm) plant-based meat that we hope will offer a delicious and sustainable alternative for all cheesesteak eaters." It will be available starting Opening Day on March 28 and at all Phillies home games behind Sections 108 and 120. South Jersey native Mike Trout has reportedly agreed to a contract extension with the Los Angeles Angels for 12-years, $430 million. The 27yo from Millville was set to become a free agent after the 2020 season. The Eagles fan would have been sought by the Phillies. Temple Owls lose to the Belmont Bruins 70 - 81 in a First Four play-in game of the 2019 NCAA Tournament. Congratulations to Coach Fran Dunphy on his storied Philadelphia Big 5 coaching/playing career! 566-318 record. Called Mr. Big Five, Dunphy played/coached at LaSalle, head coached at Penn and Temple, and also earned a graduate degree from Villanova. As previously announced, 70-year-old Coach Dunphy is retiring at the end of the season. Assistant Coach, former Temple player, and former 76er Aaron McKie will be the new Temple head coach. Saint Joseph's University has fired men's head basketball coach Phil Martelli after 24 years, 34 years total in the program. He finished with a career record 444-328. In 2004, the Hawks were undefeated in the regular season and made the Elite 8 of the NCAA Tournament.